Editor’s note: Global Kids does a stellar job each month pointing us to excellent resources. The 2010 Horizon Report: Museum Edition, part of the New Media Consortium‘s Horizon Project, looks at emerging technologies and their potential impact on museums. The report, like all Horizon reports, identifies six key technological trends. For museums, the report features: mobile technology, social media, augmented reality, location-based services, gesture-based computing, and semantic Web. The report delves into each technology in much more detail, provides a list of museums that are exemplary in their use of those technologies, and includes additional resources for reading. It also details four key broader trends and six challenges. The report can be very helpful in identifying ways of collaborating with museums around a variety of digital media projects. 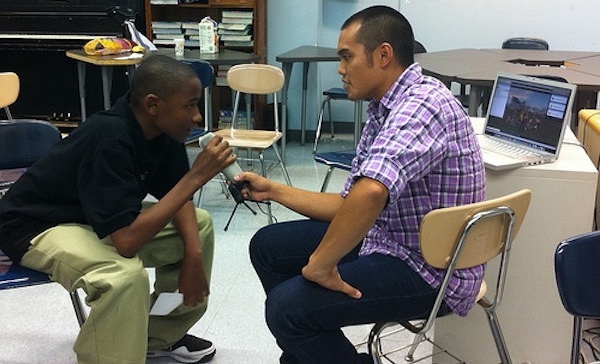 In this article, Web culture expert Howard Rheingold suggests that to effectively engage students, as well as ourselves, in the 21st century, we must not only focus on skills and technologies but also explore the interconnected “social media literacies” which he identifies as: attention, participation, collaboration, network awareness, and critical consumption. That list, plus the new literacies put forth by media scholar Henry Jenkins, are shaping our understanding of how we can best support youth to thrive in our digital age. The implications of these two lists of new literacies are intriguing, and suggest a widening definition of what social media might eventually entail. Based on a five-year study of public school students in North Carolina, researchers found “modest but statistically significant and persistent negative impacts” on student test scores among those with access to an Internet-connected home computer. However, the article argues that for access to home computers to translate into higher student achievement, there needs to be a shift in how we think about traditional learning environments and on how to provide students (particularly low-performing ones), parents, and educators, with more guidance and training on ways to connect their home and school environments. 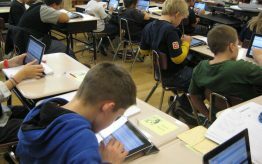 The answer is not to eliminate technology, but to scaffold students’ use of it and provide meaningful activities online. A rethinking of traditional learning environments is exactly what Global Kids believes needs to happen, in order for digital tools to be used in meaningful and educational ways, both in formal and informal learning spaces. This is an article about a new study on whether sharing behaviors online correlate with real-world sharing activities. 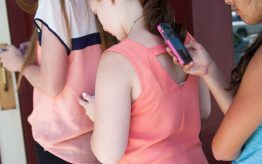 The study concludes that online sharing spurs more sharing activities offline – a nice counterpoint to the negative frame surrounding young people who engage in file sharing. There’s a lot of power packed into this Powerpoint presentation from Lee Rainie, director of the Pew Internet Project. Entitled “The Future of the Internet,” it first compares the online world from ten years ago with today. Of equal interest, it then shares the results of interviews with experts predicting where we will be in 2020. Has Google made us smarter? What is the future of online anonymity? Even without hearing Rainie’s voice as he gave this presentation, his point still comes through loud and clear. View more presentations from Pew Research Center’s Internet & American Life Project. This is both a fantastic video modeling how our new era of learning is transforming family life and, at the same time, a remarkable example of how to use YouTube to tell a story. 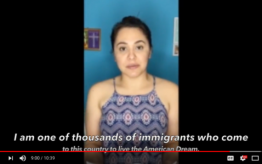 The video was the recent winning submission for the Covenant Foundation’s Jewish Futures Competiton (Full disclosure: the Foundation is one of Global Kids’ funders). The video explores the experiences of all four family members and explicates how learning has become open, remixable, meaningful and relevant, and community-building. A great vision of 21st century learning.